Does your company associate with the younger demographic? Then you should be considering Snapchat. Snapchat usage is becoming more than just a fun way to communicate with friends, but a tool utilized by businesses to create innovative content to engage audiences with their brand. With over 100 million daily snap chat users worldwide, businesses are chomping at the bit to integrate Snapchat with their social media marketing. Snapchat is a social media platform designed to take photos and videos for audiences called 'snaps.' Whether you're a casual user boasting how good your food looks to your friends, or a business owner looking to cash in on marketing their brand, snaps eventually disappear shortly after being viewed. That's where the 'Story' function can be utilized, mentioned a little later. For every business' social marketing strategy, it's important to reach and engage the largest audience. Statistics show that 71% of Snapchat users are under 34 years old, 45% of that between 18-24. This demographic may suggest to business' whether or not Snapchat is an effective tool for their brand. If your company does cater to this age group, exposure for your business through Snapchat is imperative to experience with, as the numbers of active users is there and growing. The Story feature on Snapchat lets users create a loop of 'snaps' compiled over the day to be viewed by followers. Unlike regular snaps, Snapchat Stories can be viewed multiple times a day without disappearing and can be viewed anytime for 24 hours. This method can help a business create a brand narrative, as the compilation of snaps acts as your company's advertising. This gives your audience a better picture of what your brand is all about, while keeping them engaged and updated as you add new snaps to your story. 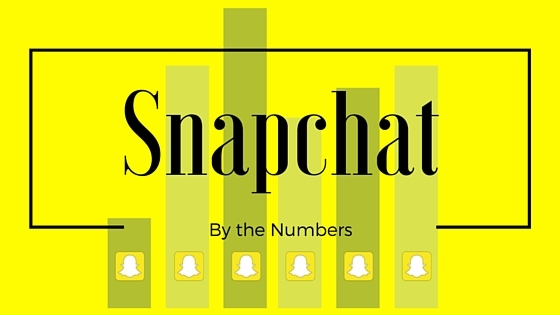 There are many ways utilizing Snapchat can strengthen a business' social marketing campaign. The fact is, Snapchat provides the immediacy other social media platforms can't deliver. Provide behind-the-scene content for your audience: Having the ability to see what goes on other than what's apparent, is a good way to keep users engaged in your advertising and willing to come back to your business' Snapchat content. Live events are intimate and immediate:Who isn't a fan of live interaction via your mobile device? It's free engagement between your business and your potential consumer audience. This strategy can build relationships with users because of the 'realness' factor of live interaction. Introduce your new product through Snapchat: Consumers appreciate being able to see a pre-launch product before anyone else. Show off what you're working on live and unedited, as you create interest from followers about the new product. These are just a few features Snapchat can provide your business' social media marketing campaign. Just remember, we all love the immediacy of photos, videos, and content created in realtime. So for your business, experiment with Snapchat, find that perfect demographic for your product and brand, and snap away with your bad self!